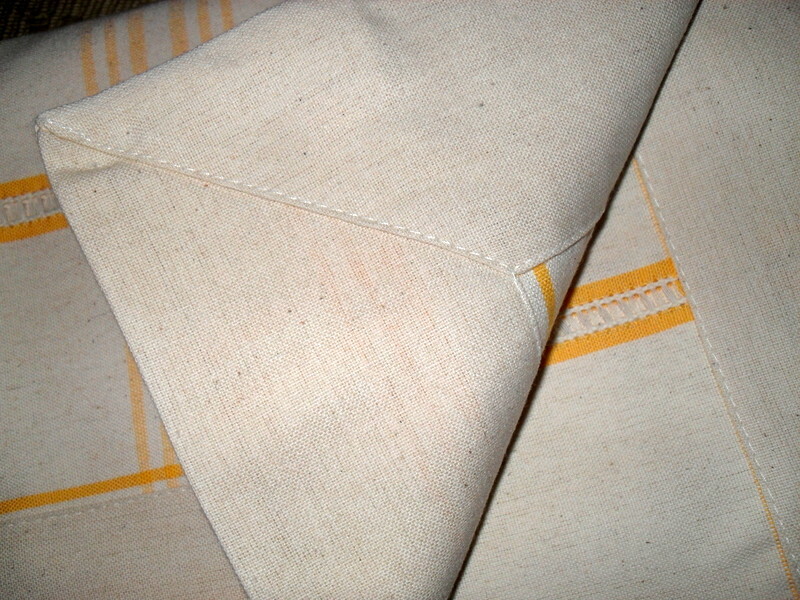 Beautiful rectangle tablecloth on an off white background with a subtle coloured check pattern. The weave is flat with small vertical gaps left in the weave. The edges are in the same plain off white colour with a length of 7cm inward (see below picture).